So you’ve bought your gym membership. You’ve heard how great lifting weights is for your health, longevity and to get you toned. You’ve got all the kit, you’ve booked the time in your diary. Off you head to the gym after work at 7pm. It’s a Monday – prime time. You venture into the weights room and you’re confronted with a sea of mostly muscle-clad men, grunting away, throwing weights around. They all seem to know each other; talking loudly about how much they bench or listening to their headphones whilst intensely staring into space. There doesn’t seem to be any space for you anywhere. You imagine worst-case scenarios –you’ll drop a weight on your head and end up in hospital whilst everyone points and laughs at you. After visualising this, at best, you might trundle up to the cardio section and watch TV whilst on the cross-trainer for 20 minutes. At worst, you’ll just head back home and vow never to frequent a gym ever again. Fear of judgement. Fear of the unknown. Fear of starting. These are powerful emotions that send us into our fight or flight mode, and most people would fly in this situation. So how can we get over these fears? Firstly, lets reframe our mindset, and then we’ll go through some practical strategies for getting over these fears. Many people feel like they don’t belong in the gym, like they’re not the right kind of personality or the right kind of look – an imposter. Although, last time I checked, there weren’t any pre-requisites for being part of a gym. You pay a gym membership like everyone else. This means you’re allowed access to the WHOLE gym, like everyone else. Not just part of it. You are 100% entitled to take up that space. You are 100% allowed to make mistakes and do things that look a little crap. You’re a beginner. That’s okay. When did you ever start doing something new and nail it perfectly first time? Thought not. Same goes for weight training. Remember; those toned, muscly, strong people you see in the gym, who might intimidate you, weren’t born that way. They were all beginners once too. Once you shift your focus to learning, not performing, you’ll reap the rewards. But what’s the best way to start the learning process? However, if you struggle with gym confidence you’re probably more at stage 2 – all too aware that you’re doing things wrong. It may take a while to get to stage 4, but with a little help and research stage 3 is within easy reach with enough preparation. Most gyms should provide you with an induction anyway, but these can be very brief and not useful for what you want to achieve. If you can, ask for a complimentary PT session and have a think about your goals clearly before you go. Have a list of things you specifically want to learn how to do and make those a priority. 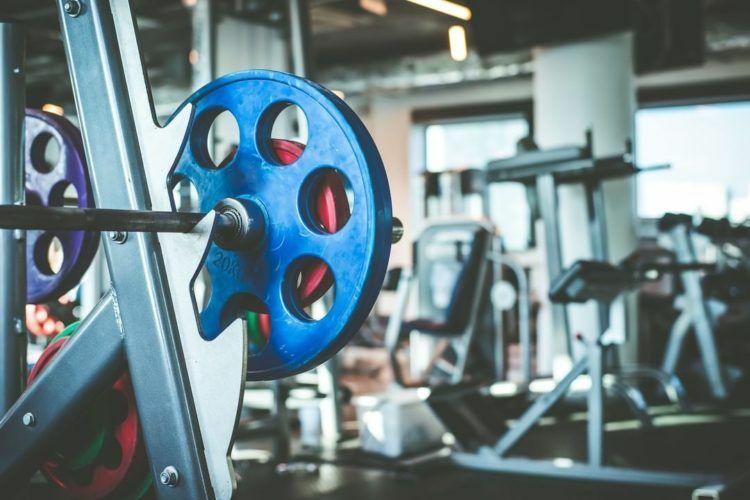 If you want to get into weight training, make it clear you want to specifically be shown how to use the resistance machines, cable pulleys, and squat rack (if the gym has one) and just get familiar with where everything is. How do I adjust the height of the bar? What height is right for me? How do I move the safety pins? How do you secure the weights onto the bar? How much does the bar weigh? Is there a lighter bar I could use? Where are the clips, weights and barbells stored (if it’s not obvious)? How do I unrack and rerack the bar? Other than squats, what else could I use the squat rack for? If the rack is in use, is there another way I could perform a squat or work my legs and glutes? Can you show me an upper body push, upper body pull, and a core exercise I can do with these? How can I work the same muscles if all the pulley machines are in use? How do I change the weight? Once the PT shows you each thing, insist that you have a go setting up all this equipment whilst the PT watches you to check. I can guarantee you, you won’t remember or feel comfortable doing it if you’re on your own otherwise.If you still feel unsure I would recommend investing in a few PT sessions to get you on your way until you feel comfortable that you could do this on your own. 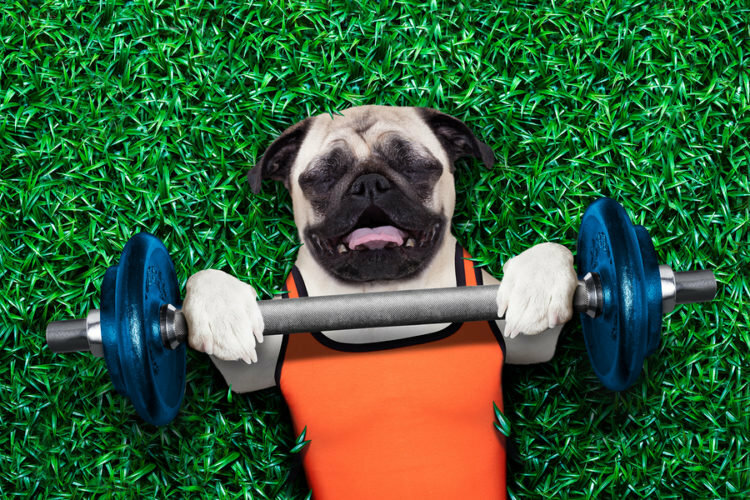 If hiring a PT is not for you, then ask a friend who already weight trains to take you along. You’ll feel more relaxed and have fun in the process. If neither of you know how to do something, YouTube probably has the answer. Weight training does require a certain amount of resting between sets. This is a great opportunity to catch-up with your friend. If you make it a social occasion and enjoy it then you’ll be more likely to stick to it. Having your friend there to motivate you and bring out your competitive side is only a good thing. Plus, if you ever get to the stage where you need a spot for your bench they’ll come in handy! With so many machines, weights and equipment it’s easy to feel overwhelmed. So where do you start? It can look complicated, but the key is to keep it simple. Focus on what you want to work on that day:legs? Back? Upper-body? Core? All of them? As a side note, there’s nothing wrong with rocking up into the weights area swinging around weights, just having a go, whether you’re doing it ‘right’ or not. The reality is, even if you do something with terrible form, you’ll probably see some progress no matter what you do. Don’t stress about performing everything perfectly all the time every time. All you have to do is start. Assuming you want to get toned and strong, below is a guide to get you started which targets the whole body. 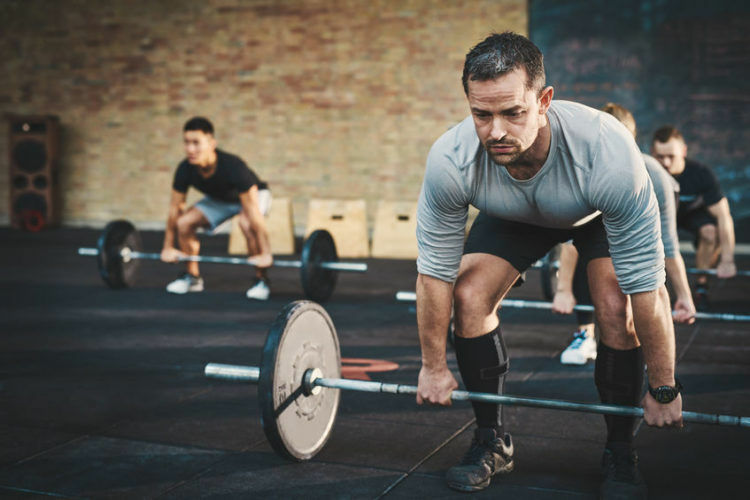 This list is in no way exhaustive, and there are plenty of other alternatives you can perform and hit the same muscles, and many ways you could structure your program. For example, if you plan on training two days a week then you should probably aim to make each of those a whole body workout. But, if it’s three to five days a week, you can split the program up and maybe focus on one or two body sections at a time. In terms of sets and reps, aim for three sets and mix up the days you perform lighter weights at 8-15 reps, and higher weights at lower reps of 4-7. As a beginner, you’ll see improvements, strength and muscle gain no matter what you do, but once you’ve been training consistently for a year or so, you may benefit from a more detailed and structured program. Unless you feel quite knowledgeable on the subject, this is where a coach or PT would be useful. 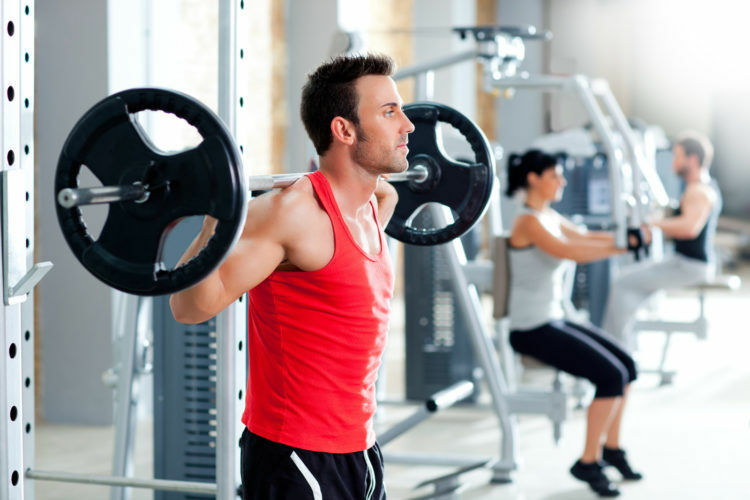 All of the above should help you feel more comfortable and knowledgeable in the gym. 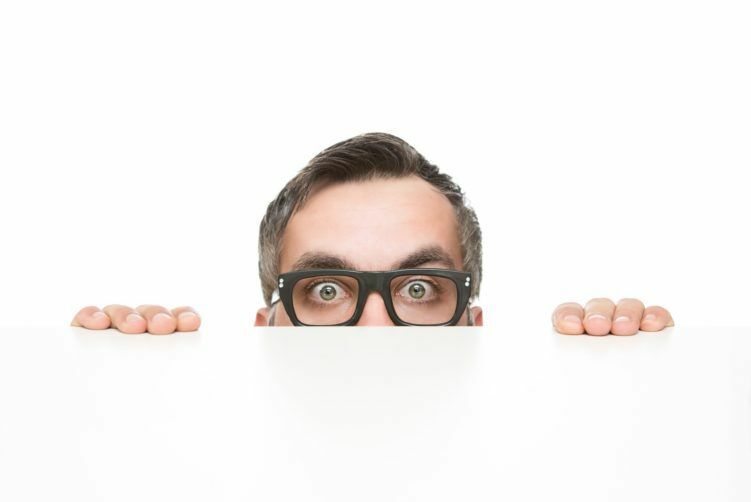 Be prepared for the first session to feel awkward, but it only gets easier after that. 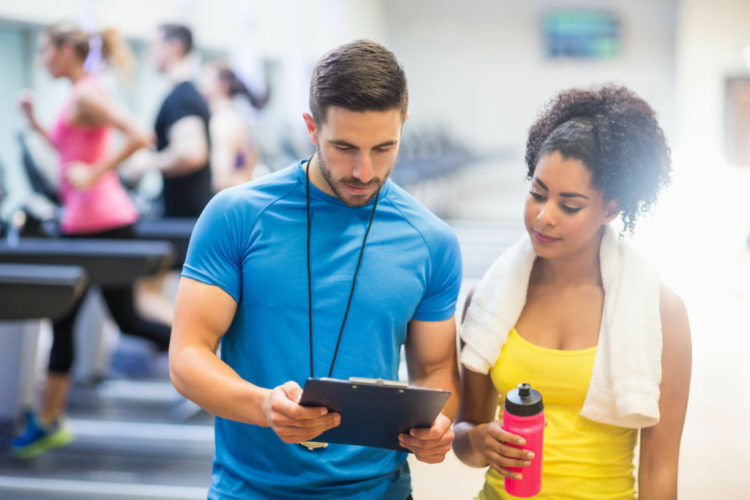 The general experience in gyms is a friendly one, and most people are happy to share equipment, and help you use machines. However, like all walks of life, the gym is not exempt from idiots, giving out unsolicited advice. When you are new to exercise and weight training you’re particularly vulnerable because you assume everyone else in the gym is already doing everything perfectly. As a personal trainer, I see so many poorly executed, potentially dangerous exercises going on – all performed with utter confidence. 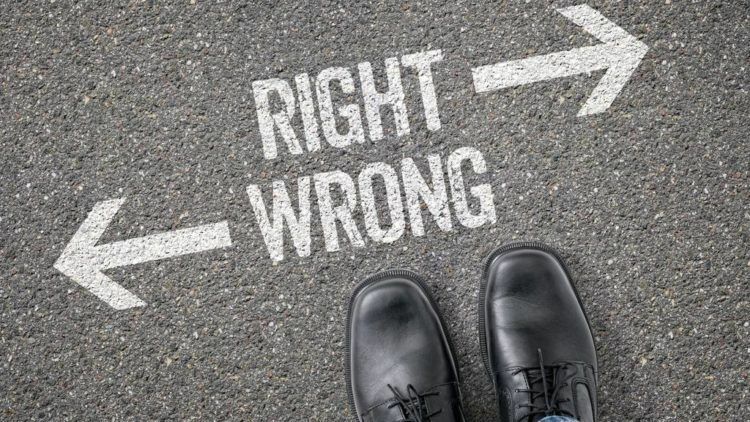 So, when someone comes up to you and tells you not to do “X” like that – how are you to know if what they’re telling you you’re doing wrong is good advice? Why have you assumed they know more than you? Indeed, why have they assumed they know more than you? To illustrate this, I’ve been told on occasion by random strangers in commercial gyms that I shouldn’t bench with an arch in my back. Arching whilst benching is a powerlifting technique that is safe if you do it correctly; but they didn’t know what they didn’t know, (stage 1 of the competence hierarchy) and so felt obliged to give me some advice. I’m sure it was meant with good intent, but this is just an example of how you shouldn’t always take on board someone’s advice. If in doubt seek out a personal trainer’s opinion. If you’re sure you’re doing something correct, then just politely inform them that this is how a professional PT showed you how to do it. No matter who you are, and what your exercise history; gyms should be an inclusive and friendly space that make it easy for you achieve your goals. If for any reason you still feel this isn’t the case, don’t forget you have the power to affect change in the industry. If someone is hassling or intimidating you out of your space, make them aware of it and if needed give this feedback to the gym. If you’re open and willing to learn but your gym environment is so hostile that it doesn’t make this possible because you feel so uncomfortable, that is not your failing – it’s the gyms. A lot of women struggle to get into weight training for these reasons. It doesn’t help that all the equipment is large and heavy, and if you’re a smaller woman, or cannot lift heavy yet, then the equipment is often a struggle to use. But the more you get in there, the more the industry should adapt to supply the demand. Always strip your bar of weights and put them back after use. Try not to hog too many machines at the same time – allow others to use machines whilst you’re resting. Most people should share equipment – so ask if they wouldn’t mind sharing if it’s an easy piece of kit to use and change the weights on quickly (for the squat rack and bench press it may be worth waiting). Wipe down any sweaty machines after use. Don’t try and talk to someone whilst they’re in the middle of performing their set. Don’t talk loudly on your phone the whole time. Be aware of those around you. The post A Beginners Guide To Lifting Weights In Scary Gyms appeared first on Food For Fitness. Previous Carb Cycling: Is It Worth It?